Several autoimmune diseases of the kidney are classified as idiopathic. These conditions can be difficult to treat and often lead to renal failure. 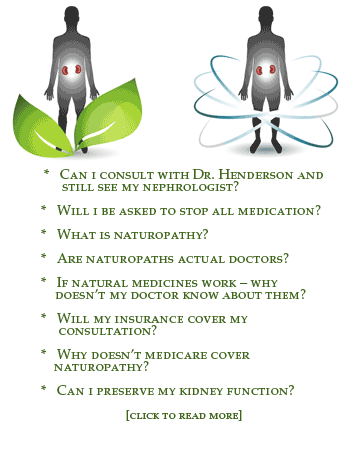 Allopathic medicine has had limited success with these types of nephritis and at best can slow the progression of the disease.1 For many of these patients eager to stay off dialysis, naturopathic medicine may offer novel strategies to treat these types of nephrotic syndrome. Conditions once simply called glomerulonephritis are now grouped into subcategories. Common types of glomerulonephritis in adults are the following: focal segmental glomerulosclerosis (FSGS), IgA nephropathy, and mesangial proliferative glomerulonephritis (MPGN). Ganoderma lucidum is another mushroom that can be useful to treat FSGS. In a study11 of 14 patients with FSGS who took G lucidum, all individuals achieved remission, and the agent successfully suppressed proteinuria. This seems to have been achieved by restoring the balance of proinflammatory tumor necrosis factor and interleukin 10 (IL-10). The yeast Saccharomyces boulardii may be of benefit for patients at risk for IgA nephropathy. In a murine model, IgA nephropathy was induced by administration of oral poliovirus vaccine.17 Mice that were given S boulardii did not develop mesangial proliferation or deposition of antibodies. The control group developed antibody proliferation and deposition, and some also manifested pathological changes in the glomerular membrane. Reduction in urinary protein and erythrocytes was achieved in an animal model with an extract of Astragalus membranaceus.18 IgA nephropathy was induced in rats by intragastric administration of bovine serum albumin and injections of Lipopolysaccharides and Carbon tetrachloride. Rats given Astragalus had decreased hematuria, proteinuria, and tubular lesions of the kidney. The mechanism is believed to be downregulation of nuclear factor–kB and monocyte chemotactic protein 1. In addition, thujone-free Artemisia absinthium is a novel treatment that has shown promise in reducing proteinuria in patients with IgA nephropathy. Ten patients with biopsy-proven IgA nephropathy were treated with Artemisia for 6 months, and all showed a significant reduction in proteinuria and arterial blood pressure.19 This effect was achieved by downregulation of tumor necrosis factor, which is involved in the pathogenesis of IgA nephropathy. Mesangial proliferative glomerulonephritis is a syndrome that includes proteinuria, hematuria, inflammation of the kidney, an increase in the number of mesangial cells of the kidney (hypercellularity), and deposition of antibodies in the glomerular capillary. It is associated with IgA nephropathy, lupus, and rheumatoid arthritis. Oxidative stress20 and an imbalance of cytokines21,22 are believed to be involved in the pathogenesis of MPGN. In a rat model, reactive oxygen species was observed to be increased 400% to 500% in animals with nephritis.20 Alpha lipoic acid reduced reactive oxygen species by 55% and reduced hypercellularity by 100%. The transformation of mesangial cells was significantly attenuated. Therefore, alpha lipoic acid should be considered for treatment of patients with MPGN. Rhubarb effectively treated MPGN in a rat model, possibly due to the constituent of emodin.25 In the 1997 Chinese investigation, therapeutic action was achieved by decreasing Il-1 and inhibiting synthesis and secretion of fibronectin, an important component of the mesangial extracellular matrix. Idiopathic autoimmune diseases of the kidney are often difficult to treat. However, certain natural agents have shown promise in some of the more common forms of glomerulonephritis. Although it may be difficult to stop the disease process altogether, a naturopathic approach may slow the progression of these diseases. Jenna Henderson, ND is a graduate of the University of Bridgeport College of Naturopathic Medicine, Bridgeport, Connecticut. A kidney patient herself since 1993, she practices in North Haven, Connecticut, and has an international clientele of patients with kidney disease. More than 2900 people follow her at Holistic Kidney on Facebook and at www.holistic-kidney.com. Her work has been published in Natural Medicine Journal, and she presented her research findings at the 2011 American Association of Naturopathic Physicians Annual Convention in Phoenix, Arizona. Wiseman A. Chapter name. In: Schrier RW, ed. Manual of Nephrology: Diagnosis and Therapy. 6th ed. Philadelphia, PA: Lippincott, Williams & Wilkins; 2005:134-148.Howie AJ. Handbook of Renal Biopsy Pathology. New York, NY: Springer; 2008. National Institute of Diabetes and Digestive and Kidney Diseases. Glomerular disease primer: selected glomerular diseases. http://www2.niddk.nih.gov/NIDDKLabs/Glomerular_Disease_Primer/SelectedGlomerularDiseases.htm. Accessed December 10, 2011. Jordan S, Querfeld U, Toyoda M, Prehn J. Serum interleukin-2 levels in a patient with focal segmental glomerulosclerosis. Pediatr Nephrol. 1990;4:166-168. Nephropathology. http://www.kidneypathology.com/English_version/Focal_segmental_GS.html. Accessed February 18, 2012. Li RM, Branton MH, Tanawattanacharoen S, Falk RA, Jennette JC, Koop JB. Molecular identification of SV40 infection in human subjects and possible association with kidney disease. J Am Soc Nephrol. 2002;13(9):2320-2330. Appel GB, Appel AS. Diagnosing, treating FSGS: an update. Renal & Urology News. March 1, 2007. http://www.renalandurologynews.com/diagnosing-treating-fsgs-an-update/article/22272/. Accessed December 2, 2011. Kopa M, Megli A, Rus RR. Partial remission of resistant nephrotic syndrome after oral galactose therapy. Ther Apher Dial. 2011;15(3):269-272. Saiki R, Lunceford AL, Shi Y, et al. Coenzyme Q10 supplementation rescues renal disease in Pdss2kd/kd mice with mutations in prenyl diphosphate synthase subunit 2. Am J Physiol Renal Physiol. 2008;295(5):F1535-F1544. Tsai PY, Ka SM, Chao TK, et al. Antroquinonol reduces oxidative stress by enhancing the Nrf2 signaling pathway and inhibits inflammation and sclerosis in focal segmental glomerulosclerosis mice. Free Radic Biol Med. 2011;50(11):1503-1516. Futrakul N, Panichakul T, Butthep P, et al. Ganoderma lucidum suppresses endothelial cell cytotoxicity and proteinuria in persistent proteinuric focal segmental glomerulosclerosis (FSGS) nephrosis. Clin Hemorheol Microcirc. 2004;31(4):267-272. Donad JV, Grande JP. IgA nephropathy. N Engl J Med. 2002;347(10):738-748. Coppo R, Roccatello D, Amore A, et al. Effects of a gluten-free diet in primary IgA nephropathy. Clin Nephrol. 1990;33(2):72-86. Smerud HK, Fellström B, Hällgren R, Osagie S, Venge P, Kristjánsson G. Gluten sensitivity in patients with IgA nephropathy. Nephrol Dial Transplant. 2009;24(8):2476-2481. Parinyasiri U, Ong-Ajyooth L, Parichatikanond P, Ong-Ajyooth S, Liammongkolkul S, Kanyog S. Effect of fish oil on oxidative stress, lipid profile and renal function in IgA nephropathy. J Med Assoc Thai. 2004;87(2):143-149. Jia Q, Shi Y, Bennink MB, Pestka JJ. Docosahexaenoic acid and eicosapentaenoic acid, but not á-linolenic acid, suppress deoxynivalenol-induced experimental IgA nephropathy in mice. J Nutr. 2004;134(6):1353-1361. Soylu A, Berkta S, Sariolu S, et al. Saccharomyces boulardii prevents oral-poliovirus vaccine–induced IgA nephropathy in mice. Pediatr Nephrol. 2008;23(8):1287-1291. Zhang GZ, Wu XC, Peng XJ, Yi ZW, Mo SH, Tan H. Effects of Astragalus on renal tubulinterestitial lesions and expression of NF-êB and MCP-1 in renal tissues in rate experimental IgA nephropathy [in Chinese]. Zhongguo Dang Dai Er Ke Za Zhi. 2008;10(2):173-178. Krebs S, Omer B, Omer TN, Fliser D. Wormwood (Artemisia absinthium) for poorly responsive early-stage IgA nephropathy: a pilot uncontrolled trial. Am J Kidney Dis. 2010;56(6):1095-1099. Budisavlijevic MN, Hodge L, Barber K, et al. Oxidative stress in the pathogenesis of experimental mesangial proliferative glomerulonephritis. Am J Physiol Renal Physiol. 2003;285(6):F1138-F1148. Horii Y, Iwano M, Hirata E, et al. Role of interleukin-6 in the progression of mesangial proliferative glomerulonephritis. Kidney Int Suppl. 1993;39:S71-S75. Kitching AR, Katerelos M, Mudge SJ, Tipping PG, Power DA, Holdsworth SR. Interleukin-10 inhibits experimental mesangial proliferative glomerulonephritis. Clin Exp Immunol. 2002;128(1):36-43. Makino T, Ono T, Liu N, Nakamura T, Muso E, Honda G. Suppressive effects of rosmarinic acid on mesangioproliferative glomerulonephritis in rats. Nephron. 2002;92(4):898-904. Makino T, Nakamura T, Ono T, Muso E, Honda G. Suppressive effects of Perilla frutescens on mesangioproliferative glomerulonephritis in rats. Biol Pharm Bull. 2001;24(2):172-175. Wei J, Ni L, Yao J. Experimental treatment of rhubarb on mesangio-proliferative glomerulonephritis in rats [in Chinese]. Zhonghua Nei Ke Za Zhi. 1997;36(2):87-89.